Energy Conservation in the laundry room can be achieved by keeping your clothes dryer airways clean. Regular maintenance is the key to saving money. Clogged dryer vent will damage dryer motor. Our #1 energy conservation tip would be to continue your dryer vent cleaning and dryer airways checks. The fact is that a lint trap stops only 75% of the lint. As a result, debris collects throughout the system, especially under the lint trap. So be sure to clear any lint or other debris out. That remaining 25% is what collects over time inside your dryer ductwork, and clothes dryer’s airway. In my 15+ years of dryer duct cleaning and inspecting ducts. I’ve seen time and energy lost to restricted airflow of the clothes dryer ducts. The average time for drying a load of clothes is 45 minutes. Anything over 60 minutes is a sure sign you’ll need your dryer airway cleaned to restore proper airflow. Serving communities in Schaumburg, Hoffman Estates, Bloomingdale, Elk Grove Village, Rolling Meadows, Arlington Heights, Elgin, Streamwood, Itasca, Hanover Park, Barrington, and surrounding communities. 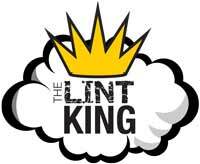 Call The King of Lint Today! Call us today to schedule a dryer vent cleaning appointment or use The Lint King’s online Dryer Vent Cleaning service request. Buying a New Appliance? What You Should Know! In fact, our dryer vent cleaning company works with HostGato.com as out GREEN partner! Because they’re not just neutralizing our environmental impact, they’re reversing it! HostGator has purchased certified Renewable Energy Credits representing 130% of the electricity used to both power and cool every last one of our shared and re-seller servers!